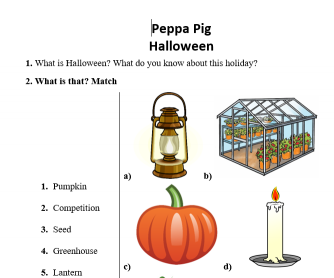 This worksheet is based on 'Peppa Pig' cartoon Halloween themed episode. It starts from the beginning of the video below and ends at 4:29. 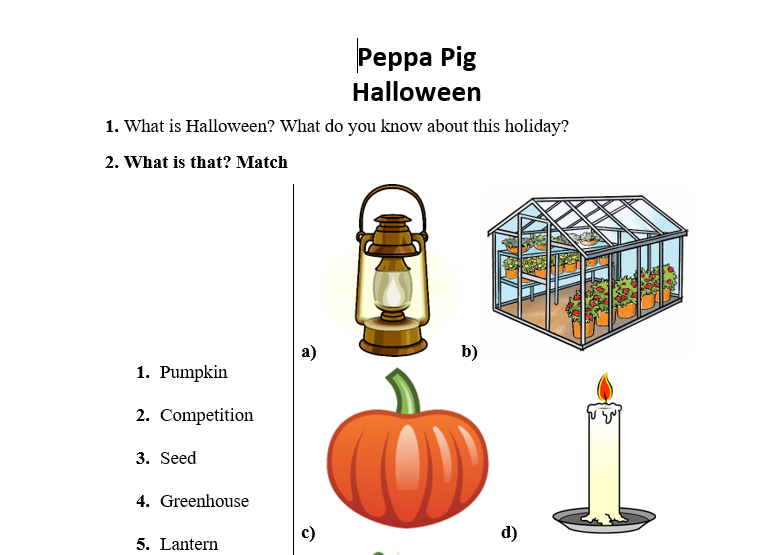 It was made to revise Future Simple and Going To and to speak about Halloween. It will take from 30 to 45 mins to watch the video twice and complete all the excercises.